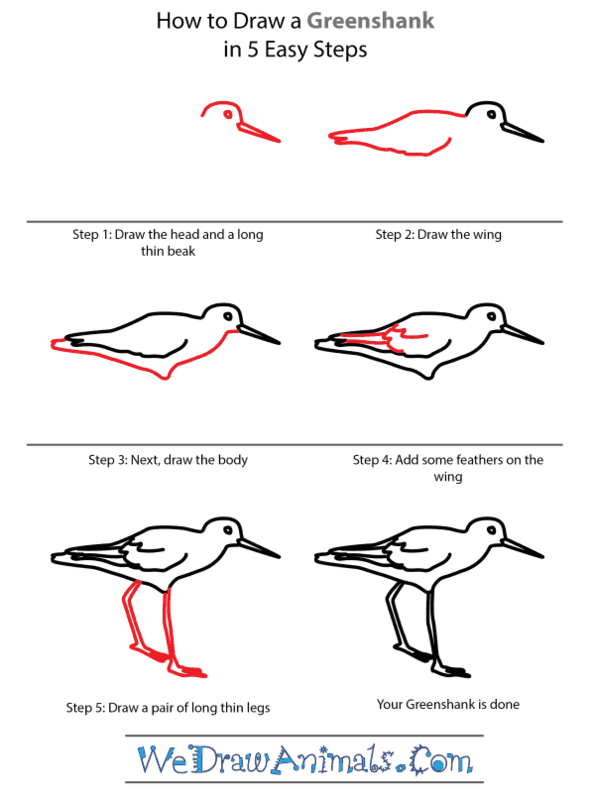 In this quick tutorial you'll learn how to draw a Greenshank in 5 easy steps - great for kids and novice artists. 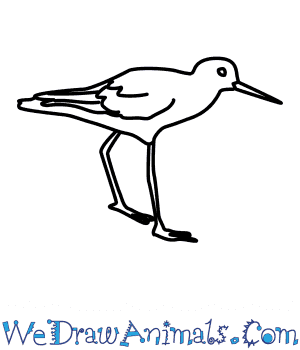 At the bottom you can read some interesting facts about the Greenshank. 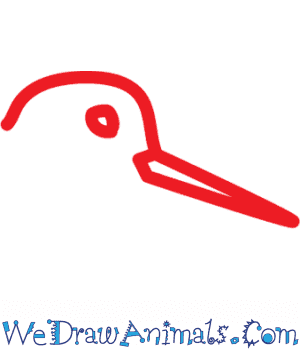 Step 1: Draw a small, rounded head complete with a long, pointed beak and eye. 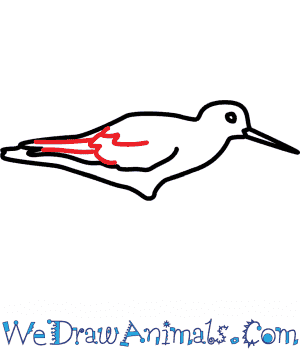 Step 2: Draw the wing, extending from the back of the bird's head. 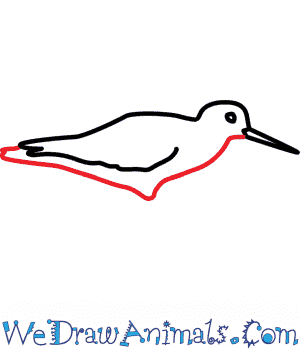 Step 3: Now we will draw the underside of the body, using a long, wavy line. Step 4: Add some feathery details to the wings. 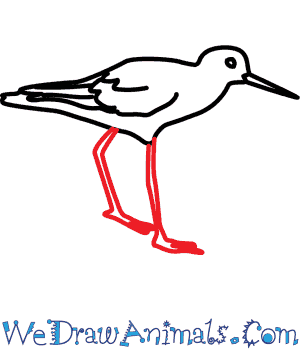 Step 5: To finish the drawing, add two long legs to the bottom of the greenshank, complete with flat feet. 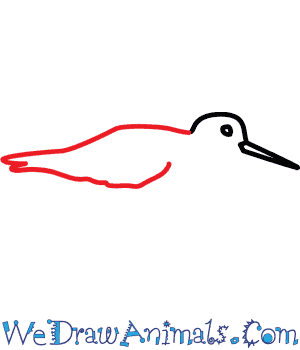 Lesson Plan Idea – Before you actually show them a photo of the Greenshank, allow students to color their own photos of what they think it looks like. Reveal the full color photo. How do their interpretations compare to the real deal?